Dr. Justin Brown Welcomes You! At Friends & Family Spinal Care, Coral Springs chiropractor Dr. Justin Brown and his team of NUCCA chiropractic practitioners offer you caring and compassionate chiropractors to understand your needs and deliver calculated, controlled chiropractic care to help you. Helping families from Coral Springs, Tamarac, and Parkland restore health naturally is our top priority. That’s why so many Northwest Broward families trust Friends and Family Spinal Care, a leading Coral Springs, Florida chiropractor for the past 10 years. Although there are many chiropractors in Coral Springs, Parkland and Tamarac, Friends and Family Spinal Care are the only Coral Springs chiropractors to deliver NUCCA chiropractic services and customized corrective plans to help you with your lifestyle needs. Accumulative stresses, accidents, and injuries from everyday activities like work, sports, and even old car accidents require the care of chiropractors in Coral Springs, Tamarac, Parkland and northwest Broward County. If you are suffering, it’s important to seek help immediately for fast, lasting relief for headaches, neck and back pain but also nerve conditions like neuropathy, vertigo, sciatica, and pinched nerves. Pediatric Chiropractic is vital for kids with ear infections, asthma, allergies, torticollis, and colic. You deserve the best Chiropractors and the best chiropractic assistants for the help you need. Medical Doctors often prescribe physical therapy, drugs, and even surgery for low back pain, neck pain, and arthritis. However, current research concludes chiropractic care is the most effective approach. Arthritis, disc herniations, bulging discs, sciatica, and spinal stenosis are a result of longer standing imbalance in the spine. Correcting the cause through specific, scientific Chiropractic adjustments removes stress to the spine and restores normal motion and nerve function. Children, athletes, supermoms and the elderly benefit from our gentle chiropractic care. If you are looking for a caring and compassionate Chiropractor in Coral Springs that will treat you like family, Friends and Family Spinal Care is your place for healing. We look forward to getting your call. Appointments are available on the same day and convenient Saturday hours are available. Hablamos español! 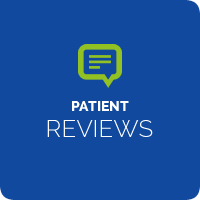 Dr. Brown and all of his staff are really knowledgeable, passionate, helpful and caring when it comes to the care you are expecting. In my first visit experience, I was hardly able to walk or sit due to disk pain and after the first adjustment I felt hope. This was my first time ever to a chiropractor and I felt very welcomed and comfortable. Great positive energy here, and Dr. Josh is wonderful! He really puts you at ease. 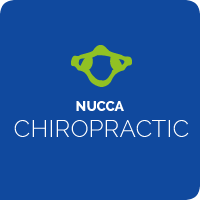 Since I have been under NUCCA chiropractic care I have more flexibility, I can do daily household chores that were painful before. I urge others to try NUCCA prior to any surgery! Everyone I come in contact at you clinic is helpful and cheerful. 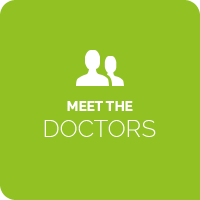 It is a pleasure to feel so welcome and get the benefit of excellent medical help! I just want to say thank you very much! I feel great and I know NUCCA is BIG part of the reason why! I appreciate how attentive and friendly everyone is. I also appreciate that my questions are welcomed and answered thoroughly. Everything is explained very well. I’ve never had to wait more than 5 minutes to be seen. Immediately after my first adjustment I felt less pain. With each adjustment I feel better and overall healthier. I can run again, turn my neck with ease, and my lower back has never felt so good. Without a doubt, NUCCA changed my life. Awesome atmosphere, very good listeners, very thorough, definitely didn’t think twice about getting service from Dr. Brown and his staff. Other doctors, practices and staff should take note and be as professional and personalized as FFSC. I felt very comfortable, welcome and cared for. You are very organized and professional with plenty of warmth. Exceptional staff as well. I am excited about the future of my care. Thank you so much! 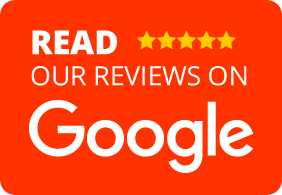 Very friendly, very professional, very knowledgeable and very impressive/ Definitely a well-run business with good people on staff. Dr. Brown and his staff members are warm, attentive and very effective in the client / health care provider relationship. 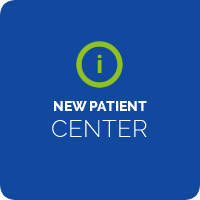 This was just my first visit and I will recommend them because the doctor expressed genuine concerns for my health and asked when last I felt really healthy. This was a profound question. One that really made me think about myself and how I handle my health issues. I am already feeling better! !